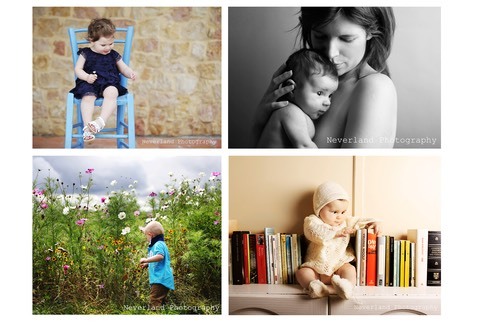 "I highly recommend�Linda at Neverland�Photography�to all Local Mums. We used�Neverland for our son's first 'formal' portraits when he was four months old�and they were absolutely wonderful. Linda was so professional and we got some�amazing shots; even after our baby fell asleep in the middle of the shoot.�We bought a package with several framed photos as well as the digital�files and it was really good value when compared to what others were�asking. Linda even made fresh cookies on the day so we had a snack during�the shoot. I would definitely use � Linda again - we love our�photos!" 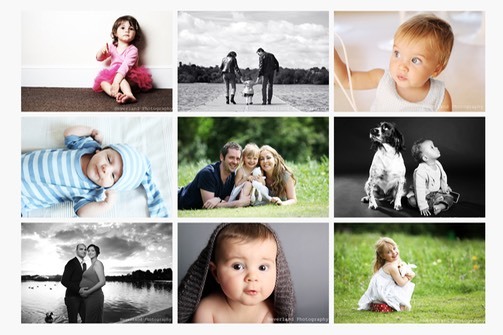 "I highly recommend�Linda at�Neverland�Photography�to all Local Mums.�Linda�is an amazing photographer! There are�people who call themselves professional photographers, who have done a bit�of photography and thought it would make a nice career and those that�are professional photographers. Linda is the latter. She takes amazing�photos and knows how to get the best out of the people she is�photographing while putting them at ease. She did an amazing photo shoot of our family. I would�highly recommend her to anyone who wants lasting memories of their�family." "I highly recommend�Linda at�Neverland�Photography�to all Local Mums.�Linda took beautiful family pictures for us. The pictures were exactly what we had hoped for. We really�enjoyed the time we spent at her studio and the fun pictures taken at�Wimbledon Common. Linda provided a great environment, lots of patience and�great direction to ensure we got the best pictures possible. Our home is�now beautifully decorated with Linda's fantastic work." Many people don’t realize how important it is to have a professional portrait of their wedding day, their family, their baby. It’s so worth it, it’s a timeless memory which will be kept for generations. Having a professional photographer on your wedding day is very important: all your efforts to get the best dress, the most beautiful shoes and flowers, the decorations of the venue, your first dance…all must be remembered. What will remind you of your beautiful day, of your pregnancy, of your baby? In many years of experience working in different countries I had the pleasure to meet so many interesting people, nice famiglie, thier babies and pets, I had the opportunity to photograph them in beautiful locations, be able to tell their stories and at the end I become friends with most of my clients. We have a studio based in Wimbledon, and a studio in Italy as well. We photograph weddings everywhere our client may decide to get married. Mainly we have requests to work in the UK, Scotland, Italy and Jersey, but we are more then happy to follow you anywhere else. On the day we have a team of two people who we will be with you all day, from the bride and groom getting ready until the first dance (usually a maximum of 8 hours work, extra hours can be discussed as extra). We work in the most unobtrusive way and our approach is very friendly and relaxed. For studio and location portraits we can accomodate your needs and come directly to your home for the session or you can come to our studio in Wimbledon. We provide personalised gift vouchers for the amount you choose to be given as a present to friends and family. We also provide wedding vouchers that the bride and groom can use toward any producs we offer like albums, coffee tables, canvases, frames etc. �20�voucher worth �49 for one hour family session and 10% discount on frames and�canvases.